SPE Diamond products are specially designed for the toughest materials and surfaces. The Diamond Product range from SPE has been developed with maximum performance, efficiency and cost effectiveness in mind. 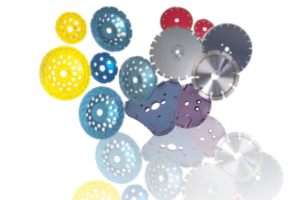 We provide an extensive range of blades, cup discs, chasing blades, diamond plates and blocks - all manufactured from high quality materials for durability. SPE Diamond Chasing Blades - designed for superior performance and long cutting life. Many years of extensive trials and development have resulted in a unique range of diamond grinding plates. Many years of extensive trials and development have resulted in a unique range of diamond grinding blocks for surface preparation tasks.